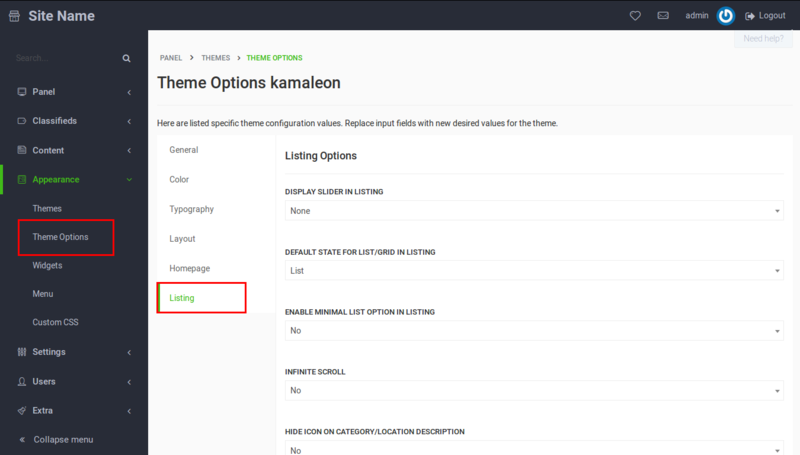 The Kamaleon theme owes its name to the 18 different styles/color schemes that are offered with it. This makes the theme a real kamaleon and suitable for almost everyone. The possibilities for the feel and look of our classifieds site are endless with this theme. Looking at the technical side; infinite scroll, RTL and multiple configuration options are supported. All of these together make the Kamaleon theme fit with every kind of classifieds website that you want to develop. Search for Kamaleon and click on Activate. Hide page links on footer: Choose if you want to display the created pages on the footer. Follow this guide to learn how to create pages. Hide the header and footer on a single ad and on the user profile page: Removes the header, breadcrumbs and footer on single ad and user profile page. Enable to show the user profile page like “your store”. 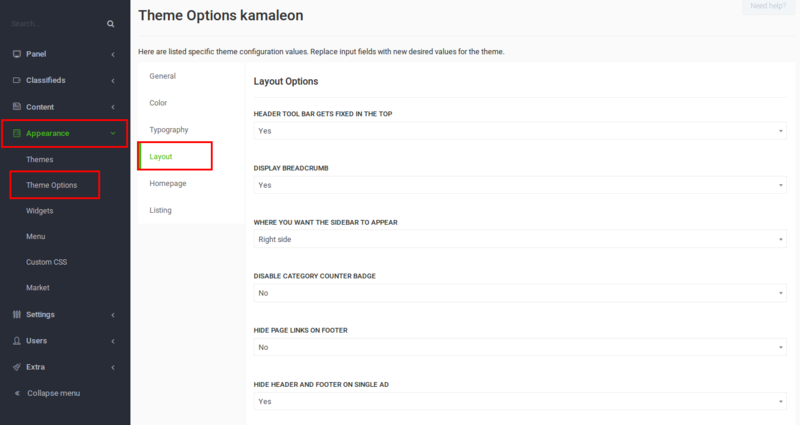 Display slider in listing: Except of the slider at the home page you can also activate a slider in the listing pages with a latest ads of the certain category. Hide icon on category/location description: If “No” is selected, category/location icon will be displayed on category/location page.